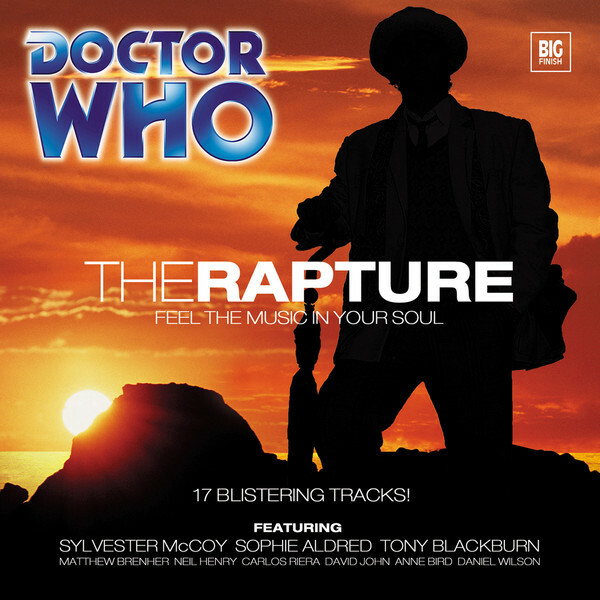 Joseph Lidster sets his debut Doctor Who story in the unlikeliest of settings as the Seventh Doctor and Ace land on the island paradise of Ibiza where angels have arrived to save the sinners through the power of music at their dance club The Rapture. Given how crucial the club setting and music is to the progression of events, it’s a testament to Jim Mortimore and Jane Elphinstone’s score and sound design that everything flows so well. Rather than forcing the Doctor and Ace straight into the action, the script wisely begins at a slower pace with the Doctor giving in to Ace’s desires to take a break from traveling. This allows for a relaxed introduction to Ibiza before Ace- like so many others on the island before her- becomes entranced by The Rapture and its musically heightened atmosphere. As the Doctor doesn’t instantly become involved in investigations into the club, this setup affords a more character-driven exploration of Ace as she interacts with her new friends. At the end of ‘Colditz,’ Ace declared that it was time for her to grow up after witnessing death first-hand. This thread is successfully picked up here, tying nicely into the overlying theme of confronting reality. The exploration of the different methods people use and the different extremes they go to in order to escape the reality of their lives, no matter for how long, is a fascinating topic rarely discussed in Doctor Who, and it’s logically presented that Ace is having this epiphany because Kurtz’s death occurred within the TARDIS, the very means by which she has been escaping reality. The surprise inclusion of Ace’s brother- though some will see this as a plot contrivance since no mention has ever been made of him previously- also works effectively, again spurring Ace’s development as she is forced to look into her own personal past as well. Aside from the perhaps overenthusiastic willingness to join the revellers in the club, the more introspective script allows for arguably Sophie Aldred’s strongest performance yet as Ace for Big Finish, and the decision to mature the character more seems like a very wise choice. The script is not without its faults, though. Angels saving sinners through the power of music is an intrinsically intriguing concept, and the revelations along the way are well-timed and interesting enough to maintain excitement and interest, but the ultimate truth of the angels’ origins is disappointing simply because it’s an idea that has been used so often before, and even within the worlds of Doctor Who. Additionally, although the Seventh Doctor is a master manipulator and no stranger to keeping to the background, often where he is at his most dangerous as he puts his plans in motion, this approach to the character is quite jarring and conspicuous on audio simply because Sylvester McCoy is noticeably absent for lengthy periods. McCoy is in typically strong form again and is particularly effective in handling the resolution of the piece, but the focus on Ace and other characters does not mitigate the gaping absence of the Doctor. Still, the supporting cast is generally quite strong in ‘The Rapture.’ The two angels of focus, Matthew Brehner’s Gabriel and Neil Henry’s Jude, contrast with each other quite well, the former quite understated and menacing and the latter much more overt and agitated. Jude sometimes straddles the line of overacting his role in events, but he fortunately never blatantly crosses that line. David John is superb as Ace’s brother Liam, especially in the scenes where Ace discovers the truth about him, and he and Anne Bird’s manic-depressive addict Caitriona are excellent together as well. ‘The Rapture’ takes a lot of risks with its story, and though the ultimate conclusion is quite familiar and in a sense undermines the experimental nature of the release, this still has to be classified as a success. In a story that very much focuses on Ace, this new path of exploration yields very promising results, and hopefully that development finds its way into future releases as well.